Without it, the new URLs would start all over, from scratch. This can be disastrous to your business. A 301 redirect is essentially an HTTP server response code. When a search bot or a browser requests a page on the server and the page loads, the first thing that the server sends to a page is a 200 OK code. This status tells the browser that the page exists in the URL and that it is sending the page to be displayed on the browser. Website developers are the ones creating the actual redirects because should be written manually or managed within the interface of the admin of the site. 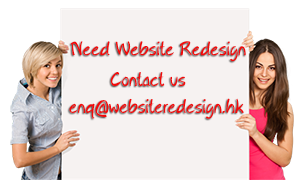 If you are planning to redesign your site, insist on 301 redirects. Take note that you can only have a redirect map once you have completed the URLs for your newly redesigned site. Most website designers do not love working on redirects but insist on this if you want to prevent your ranking from getting affected after a website redesign.